It is common for a formal contract to be preceded by a letter of intent which allows the parties to the contract to make progress whilst the formalities are being sorted out. Normally all goes well, but a recent case shows the dangers of proceeding too quickly under a letter of intent without having all the necessary contractual safeguards in place. It involved a ‘framework agreement’ which was meant to cover both a specific set of projects and future collaborations between two construction companies. The companies ploughed ahead with two projects without ever agreeing a formal contract. Predictably, when defects arose in the second project, there was a dispute over what was agreed and which company was liable for what. When a claim for damages worth tens of millions of pounds resulted, the company against which the claim was made argued that the interim terms which had been informally agreed applied and that these contained a limitation of liability to the other company. Given the sums involved, the case unsurprisingly went all the way to the Court of Appeal. 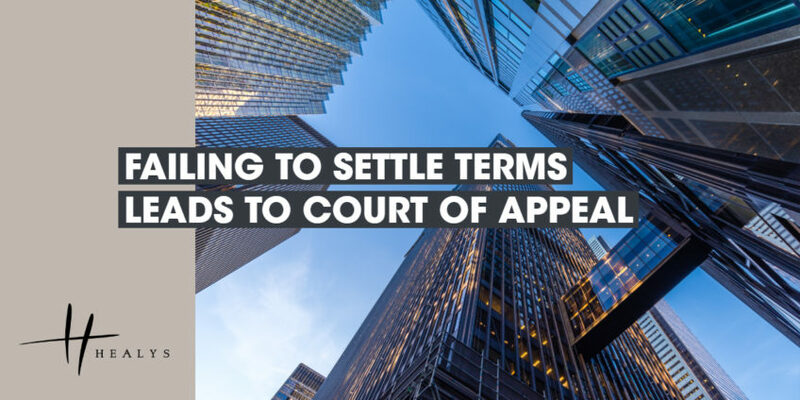 The Court ruled that the interim terms of agreement that had applied to the first project, which included a limitation of liability, would continue to apply to the second project, which was stated to have been entered into on ‘the terms and conditions we are currently working under’. The reality was that an interim contract had been agreed pending negotiation of the final agreement. Undertaking significant project work before the contract terms, or at least the principal terms of the agreement, are fully settled is fraught with risk. We can assist you in your negotiations to help you ensure that your commercial risk is minimised.